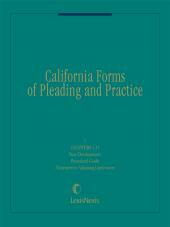 California Forms of Pleading and Practice is the leading source for up-to-date guidance on all aspects of civil actions and proceedings from pleadings to appeal. The How-To, Easy-To-Use Guide To All Remedies And Defenses In California Courts And Agencies. Providing detailed analysis of the law along with timesaving forms, checklists and research guides, California Forms of Pleading and Practice keeps you up-to-date on all aspects of procedure in civil actions and proceedings from pleadings to appeal including: complaints, answers and demurrers; attachment; discovery; summary judgment; extensive motions and orders; mandate and prohibition; enforcement of judgment; and appeal. Arbitration and mediation are also covered. 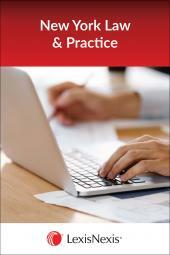 Encyclopedic coverage of all civil practice areas, including torts, business and commercial, real estate, public administrative law, and family law. Attorney ethics and other practice issues are thoroughly covered. California Forms of Pleading and Practice saves you time not just in your usual areas of civil practice, but in the less common areas you need to offer your client complete legal services. It is the best resource for quickly and effectively researching topics like attorney practice and ethics, elections, change of name, small claims, and notaries public.  This comprehensive publication has chapters arranged alphabetically for quick reference, and includes a topical list of chapters to find the primary chapters on a given topic as well as the related chapters practitioners may overlook. With frequent revision for current developments, California Forms of Pleading and Practice is a resource of enduring value. 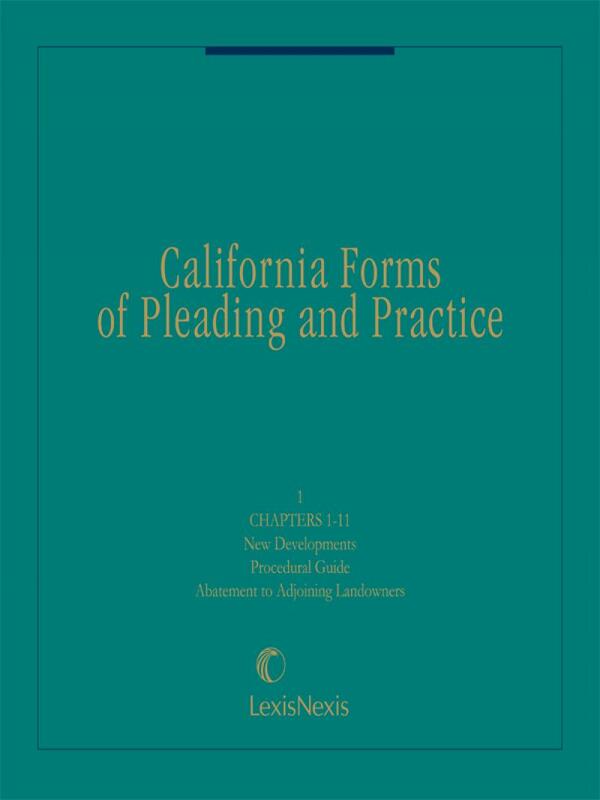 To keep you abreast of current developments and the way they impact your day-to-day practice, California Forms of Pleading and Practice is updated to reflect: all relevant California and federal legislation; administrative regulations and procedures; judicial decisions; and shifts in the general business environment. New developments are integrated into text and forms with unparalleled quality and timeliness. For more than 30 years, California practitioners have turned to California Forms of Pleading and Practice from Matthew Bender for guidance in all stages of civil actions and proceedings. Now you can use its detailed coverage in all areas of your civil practice including: Alternative Dispute Resolution, Attorney Practice, Automobile Collisions, Bankruptcy, Business and Commercial Law, Civil Procedure, Civil Rights, Election Law, Employment Law, Family Law, Insurance, Intellectual Property, Juvenile Courts, Products Liability, Professions, Public Administrative Law, Public Entities, Real Estate, Taxes, Torts. olume 13 Conspiracy Thru Conversion-Chs. 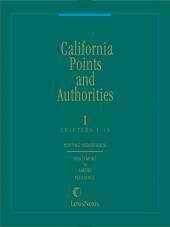 Volume 51 Vexatious Litigants Thru Zoning And Planning-Chs.